G.P. Putnam's Sons Books for Young Readers, 9780399255465, 144pp. 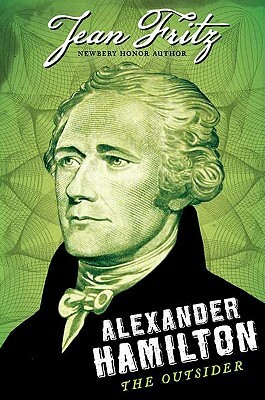 Acclaimed biographer Jean Fritz writes the remarkable story of Alexander Hamilton, one of America's most influential and fascinating founding fathers, and his untimely death in a duel with Aaron Burr. Born in the British West Indies, Hamilton arrived in New York as an "outsider." He fought in the Revolution and became Washington's most valuable aidede- camp. He was there with Washington, Madison, and the others writing the Constitution. He was the first Secretary of the Treasury as the country struggled to become unified and independent. Fritz's talent for bringing historical figures to life is at its best as she shares her fascination with this man of action who was honorable, ambitious, and fiercely loyal to his adopted country. Jean Fritz, the Newbery Honor-winning author of "Homesick," is best known for her engaging and enlightening nonfiction for young readers," "including "What's the Big Idea, Ben Franklin?," "And Then What Happened, Paul Revere"?, and "Shh! We're Writing the Constitution." She was honored with the Knickerbocker Award for Juvenile Literature by the New York State Library Association, and won the Laura Ingalls Wilder Award for her career contribution to American children's literature.